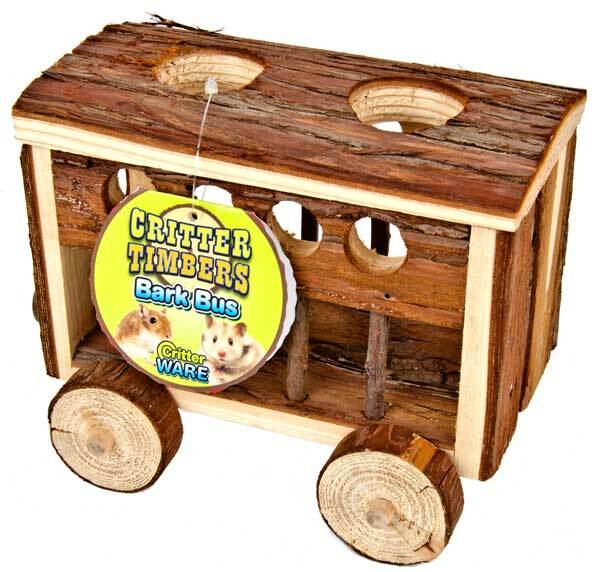 Critter Timbers Bark Bus by Ware Mfg. is a Busload of fun for critters! The natural wood hide-out provides a sense of safety and security and is a perfect place to hold bedding and treats. The natural bark surface is ideal for instinctive chewing behaviors.